Home office HELP: I'm Deeply In Love With My Boss!!! HELP: I'm Deeply In Love With My Boss!!! We all need help on one issue or the other, so also is Brave247, a nairalander who needs your help on how to tackle his ‘dreams and aspirations'. Read his post below.. I seriously don't know how it started but all I can say is I love my boss. I started working with this travel agency recently and there is this charming lady I always meet anytime I have issues with a client and we solve it together, so in the process of tackling these problems together I will always tell her she's looking beautiful and all. One day, a client came with her daughter to book flight, while the woman was with this my boss I was having a light chat with her daughter but I never knew that my boss was watching me, after the whole booking she was like "so I'm toasting that woman's daughter abi, in fact all guys are the same'. She kept on talking about it and stuffs like I have guts, my voice sounds like a flirt's own( I do it on purpose though). that my colleague to see my boss' reaction and she repeated that same statement again. and she's a big and classy lady, she get ride sef while me still de trek. 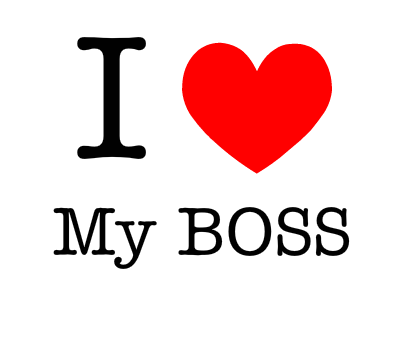 express it or tell it to the person because she's my boss. Please I need you guys to advice me, I don't know what to do. Do not forget to use the share buttons.